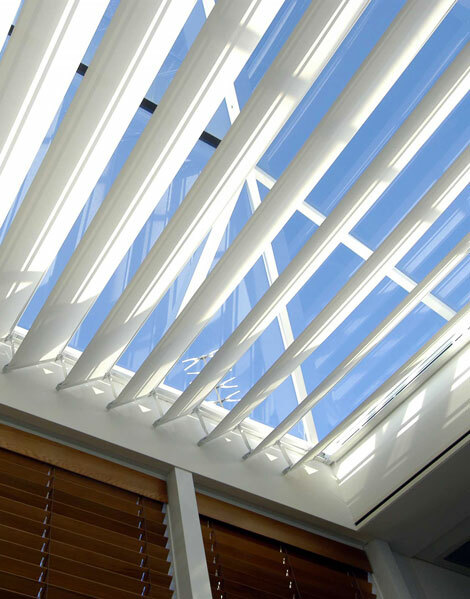 Find the solution for large open glazed areas with a custom skylight shading system. Control the heat and light with these products. They are designed to operate in wide variety of applications from horizontal to vertical windows, from sloped or non standard shapes.